I finally photographed a football game last night after what feels like ages. The last game I shot was the Sweden-Italy debacle, guess I needed some time off to make my peace with it and accept the state of things. 17 weeks have passed since that game and it was great being at Friends Arena again taking in the smell of the grass pitch. To my relief the game, a Swedish Cup quarter final between AIK and Örebro SK, was played with a closed roof. Normally when the roof is closed it is pretty comfortable to work in Friends, but last night something was different. There was an unbearable breeze of cold air blowing from the tunnels situated next to the corner flags. I was really happy that the game was wrapped up in 90 minutes and did not go to overtime. I thought AIK looked pretty good last night. On a first impression it seems like they have a team that can go pretty far this season. 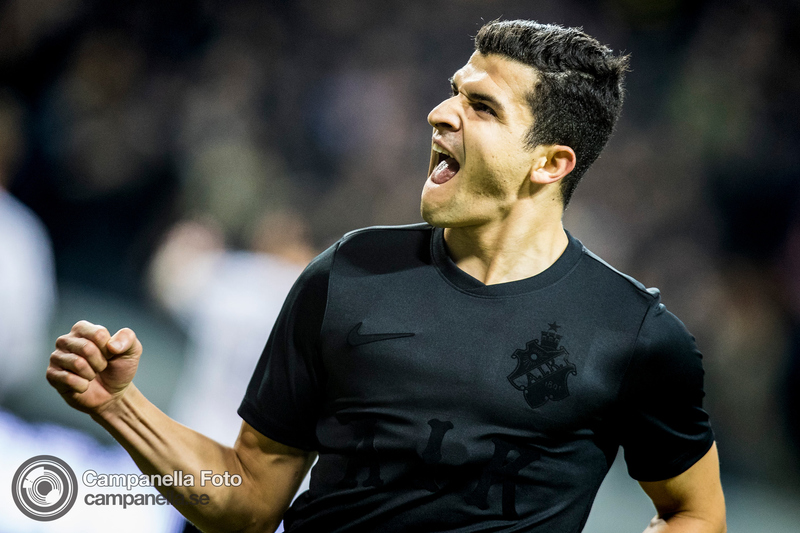 Tarik Elyounoussi scored just ten minutes into the game, and looked impressive throughout. 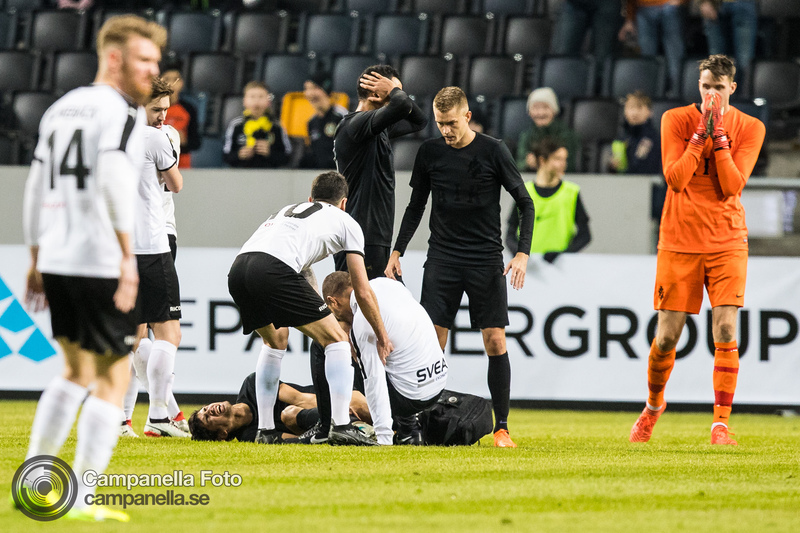 The game really died with the horrible injury Jesper Nyholm. You saw the shock on all the players faces and after that it was a pretty tame match. 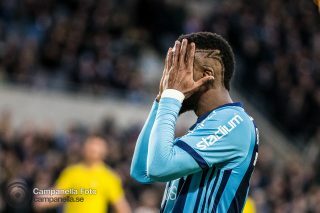 AIK scored a second at the 90th minute but there wasn’t much celebration. 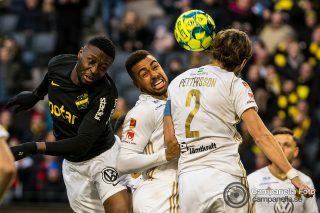 Having eliminated Örebro from the Swedish Cup AIK will now face city rivals Djurgårdens IF in the semi-final on Sunday. So we get a derby match before the Allsvenskan season even begins … nice!